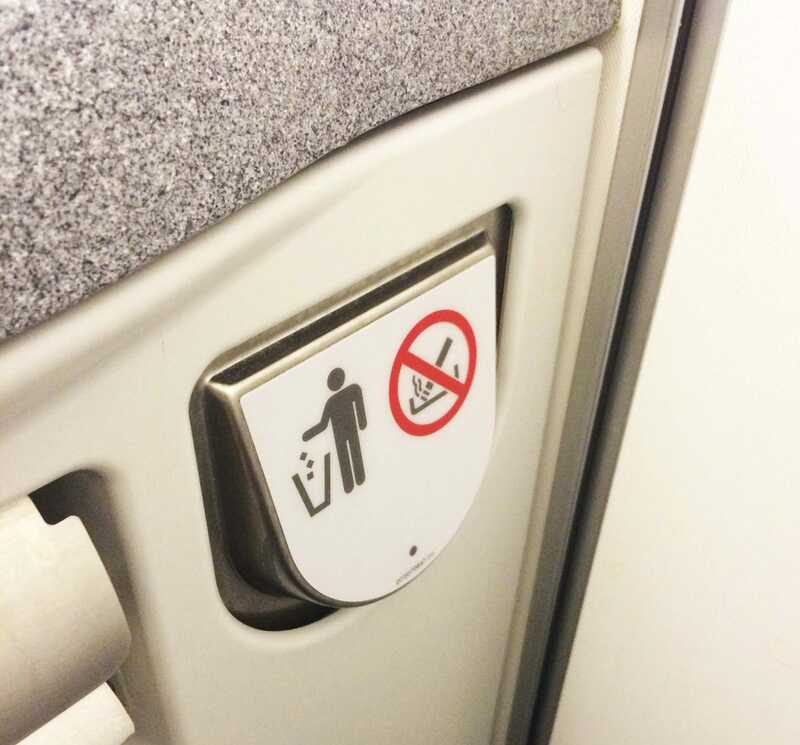 On a recent flight from Dallas to New York, I noticed the airplane bathroom was equipped with several "no smoking" signs as well as a convenient ashtray. My first thought was that I was on a really old plane since smoking has been banned on US domestic flights since 1990. Curious, I asked a flight attendant about the ashtrays. "If somebody did decide to light up and then put their cigarette in the trash, well, the trash is all paper products, so the ashes could start a fire," Debbie, an American Airlines flight attendant, told me. 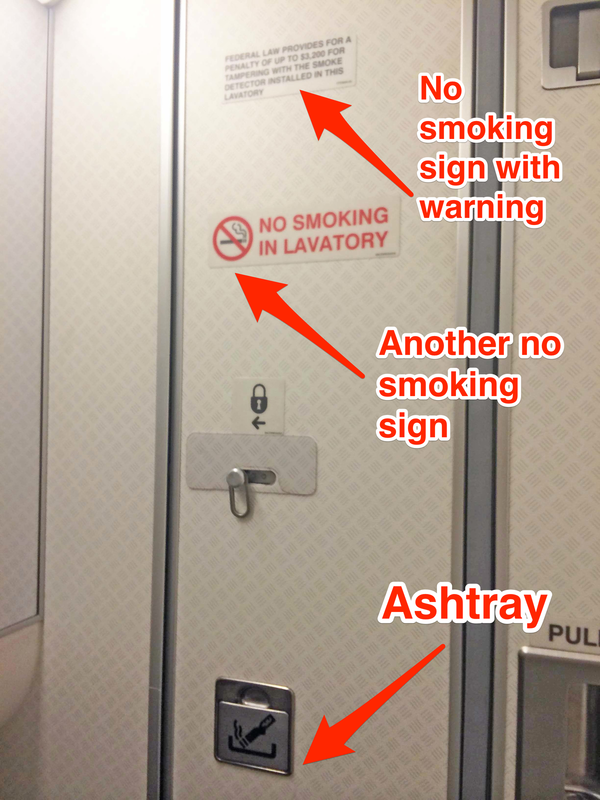 Turns out that all airlines are required by the Federal Aviation Administration to attach an ashtray to the bathroom door of every plane. The FAA categorizes bathroom ashtrays as part of each plane's "minimum equipment," meaning that a broken ashtray must be reported and replaced within three days. In 1973, 123 passengers died on Varig Flight 820 traveling from Rio de Janeiro to Paris when the cabin of a Boeing 707 filled with smoke from a fire started by a cigarette. The cigarette was thrown away in the trash receptacle of the airplane bathroom, causing a major fire in the rear of the jet. Forty-two years after the Varig Flight 820 tragedy, here is another reminder of not to dispose of cigarettes in the trash receptacle.